Going back 15 years I got a free download of something called Cadintosh, it seems to still be going, may not still be free. I didn't make much out with it as I went onto a Windows PC and learnt Autocad. I second Sketchup free, it's good for beginners, a hour or so should get you going, it's very intuitive to use and quick to learn. You also get a good idea of how more sophisticated programs run and weather you need one, and it's good fun! I use draftsite by solidworks on the Mac. It’s available free from the solidworks website. @Screwdriver recommended Sketchup a few months ago, there are lots of tutorials on Youtube to help you get started. Yep. Big fan of Sketchup. 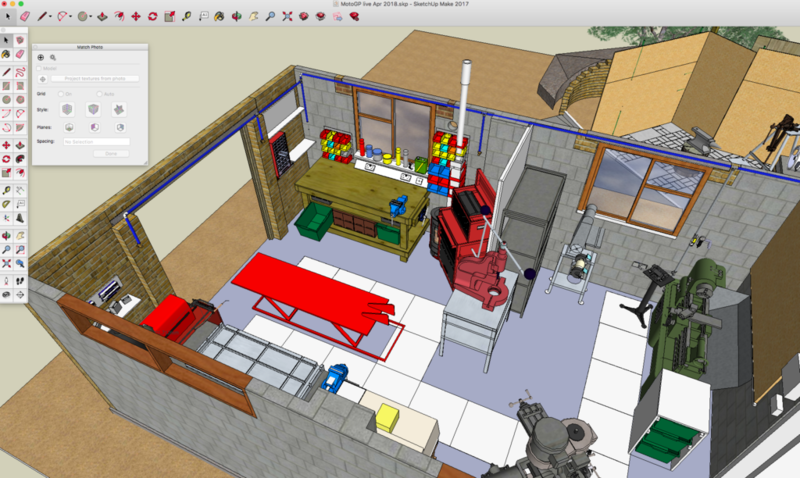 Built the workshop using it and also to organise the interior. gav0994, Gritineye and Tangledfeet like this.